Mar Lan Construction has been very active at the Southwood Estates project near Mayetta, Kansas. 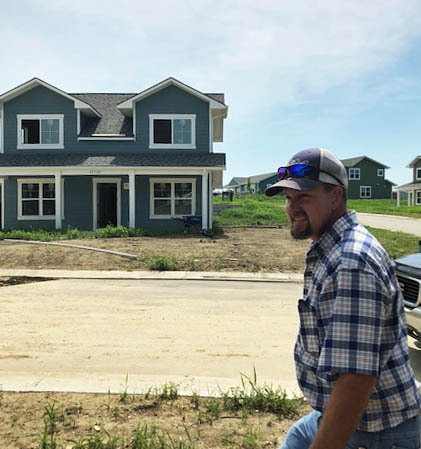 The gist of the scope involves extensive site development along with building twenty-seven single family homes for the Prairie Band Potawatomi Nation. The project is split into five phases, with each phase being a different section of the estate. There are three different floor plans interspersed throughout the neighborhood and range from 2-4 bedrooms. We are currently in Phase 5, the final phase, with the last of the homes now in the finish stages. Project superintendent Randy Frahm, pictured above at the site, feels confident we will be finished on schedule, which is early Fall completion.